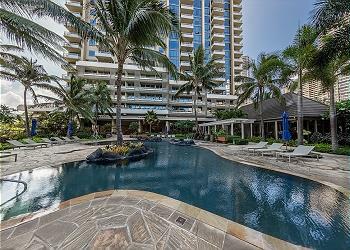 When you crave unmatched tranquility and inspiring environs, The Watermark is the definitive choice of residence in Waikiki. This building, built in 2008, offers all of the advancements and enhancements that one would expect in a new construction. Spanning four acres, this gated community is situated along the Ala Wai Canal, overlooking the Pacific Ocean as well as the nearby yacht harbor. 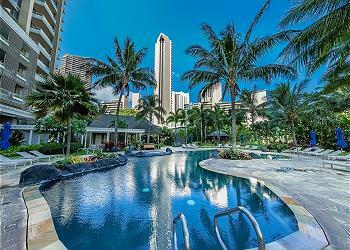 With the entertainment and recreation of Waikiki just to the west, this is Honolulu living at its finest. The Watermark community is residential only, and the feeling of privacy is immediately evident. Impeccably landscaped gardens and walking paths are just some of the relaxing features of this sprawling complex that also include a fountain and infinity pool. Entertain at the private barbeque alcove or in the pavilion, or just sit back and relax anywhere in the many common areas that even feature wireless internet. A fitness center, library and media room, and expansive storage space for your favorite recreation gear are also available. 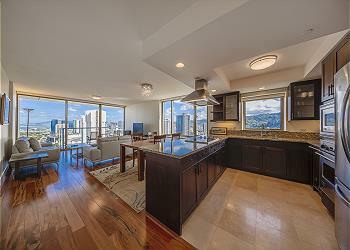 Watermark Waikiki condos feature unbeatable views in all directions - whether you wish for an ocean or a mountain view is entirely up to you. All configurations include spacious rooms, floor to ceiling windows, walk in closets, and high quality fixtures and finishes. Central air conditioning, Viking kitchen appliances, and a washer / drier come standard. 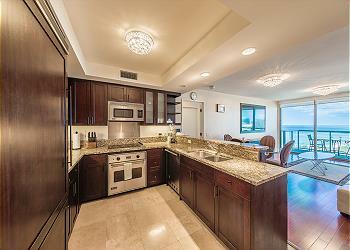 Ask about optional enhancements that can take your residence to an even higher level.